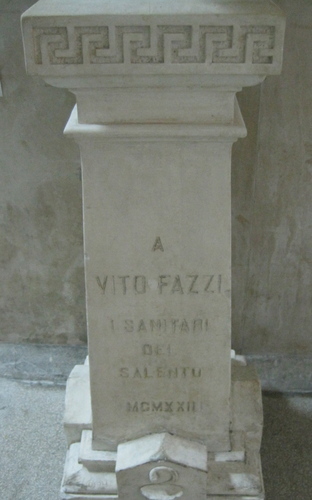 The bust of Vito Fazzi is located in The Old Civil Hospital of Lecce. After his death, in 1922, the medical council of Lecce decided to name the new hospital “Vito Fazzi” in memory of this great doctor who changed the sanitary story of his city. 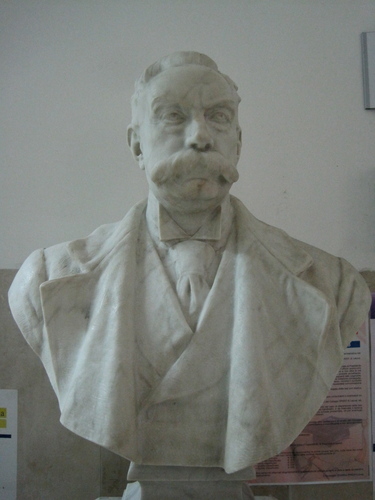 A memorial of Vito Fazzi, a bust made by the famous artist Eugenio Maccagnani, was located on 16th July 1922 and it is still today in the main hall of the hospital.